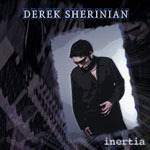 Share the post "Album review: DEREK SHERINIAN – Reissues (Inertia,Black Utopia,Mythology,Blood Of The Snake,Molecular Heinosity)"
Sherinian came to wider attention with Dream Theater in 1994 and since he left that band in 1999 the volume of his session work has grown along with stints in Black Country Communion and supergroup PSMS. He has still managed to create solo works and five of these are now available again. His musical hero is Eddie Van Halen and from earliest times he pioneered a guitar-voiced synth keyboard approach which is a chief characteristic of his work and has influenced many other prog-metallers. It will come as no surprise that he attracts some of the best musicians in the genre – almost an A-Z of the great and the good – and on his second solo album Inertia (2001) he employs the core support team that would serve him well for several albums, including Simon Phillips, Tony Franklin, Brian Tichy and Jerry Goodman. Sherinian himself calls Blood Of The Snake (2006) his “least cohesive album to date.” But it’s actually one of his best The opener ‘Czar Of Steel’ sees him reunited with John Petrucci, a marvellous fusion tour-de-force. Jeff Beck may have been trailblazing this sort of stuff in the mid-seventies but it was never quite this frenetic. As with ‘Black Utopia’ Yngwie Malmsteen and Zakk Wylde find themselves together again on the title track and ‘The Monsoon’ whilst Malmsteen goes it alone for the almost power-metal ‘Viking Massacre’. It’s nice to see these albums out again and they are newly annotated with Sherinian’s own liner notes and extracts from a 2007 ‘Guitar World’ article. However there are sadly no bonus tracks and it’s a shame that his first solo offering – ‘Planet X’ – is absent from this collection. Lovers of shred – both guitar and keyboard – will find much to salivate over and a body of work that reinforces Sherinian’s pre-eminence in this genre. This entry was posted in ALBUM REVIEWS, ALBUM REVIEWS (Mobile), All Posts, Reissues and tagged Allan Holdsworth, Black Utopia, Blood Of The Snake and Molecular Heinosity, Derek Sherinian, Dream Theater, Inertia, John Petrucci, John Sykes, keyboards, metal, Mythology, Planet X, progressive, reissue, rock, Simon Phillips, Slash, Steve Lukather, Tony Franklin, Virgil Donati, Yngwie Malmsteen, Zakk Wylde. Bookmark the permalink.